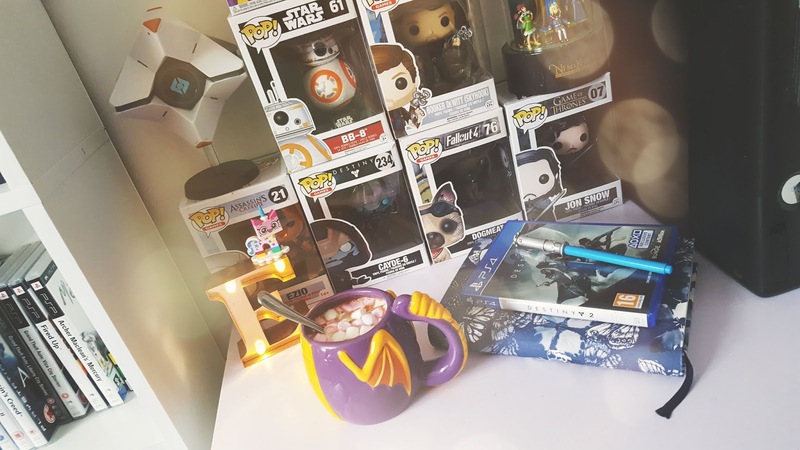 James and I have been going through his collection of games, he has a big and mixed collection which are old and new, one of my friends had the great idea that now and then I can do a throwback Thursday a bit like the posts I do on Instagram except with games from James's collection so I decided I may as well give it a shot. I'm going to go with one of James's favourite games for the first throwback Thursday and one of the games I was too scared to play too much because of how bad I was. Tomb Raider was one of the main games I remember my older sister Stefi playing, she used to help me a lot if I played it because I was useless at it and spent most of my time locking the butler (Winston Smith) in the freezer and running around the house and grounds to try the obstacle course. Tomb Raider has evolved a lot, not only because the graphics have changed but also because the story has developed and got better over time. I haven't played the newer gamers but I've watched James play them, I would probably find the older ones harder if I was to ever play them again because I'm so used to using the newer controllers. 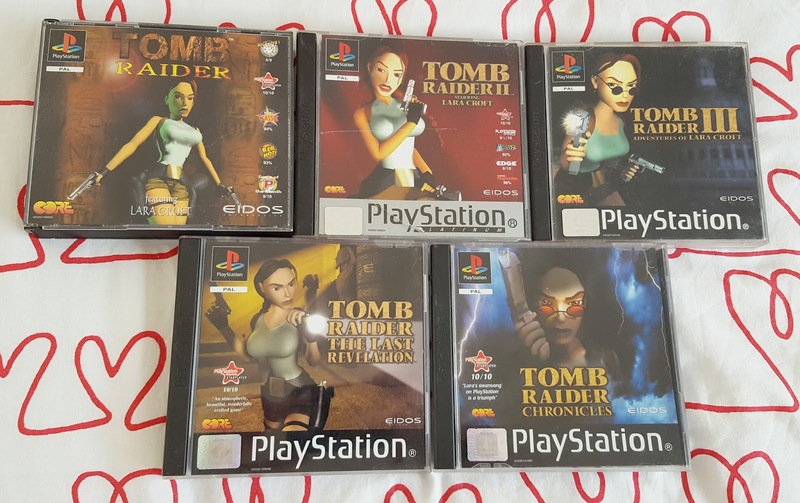 The very first Tomb Raider was released in 1996 when I was about 8 years old so It's not long had it's 20th anniversary, in that time a variety of games have been released as well as the Tomb Raider movies withs starring the beautiful Angelina Jolie as Lara Croft, I loved the movies and watched the second one a few weeks ago. Lara Croft these days looks very different to the original game character and was originally named Laura Cruz, they apparently had to change her name because Americans found it hard to pronounce Laura and they needed a British last name so they chose Croft which was picked out of the phone book. In the original games Tomb Raider was set in a 3D world and was a third person adventure game, the hardest part of the games was suppose to be the puzzles which I was rubbish at, so I guess they accomplished what they were trying to do. The first Tomb Raider was released on Sega Saturn in 1996 but Sony clicked on how popular Tomb Raider could get and was able to make an exclusive deal for the next two games that came after the first original one, the first game sold over 7 million units worldwide which are pretty impressive considering it was 1996! My favourite thing about Tomb Raider was the fact that the main character was a female and I'm so glad they haven't gone a different direction with Tomb Raider and given it a Male main character to take Lara's place, if you do want a game like Tomb Raider but to play as a male character give Uncharted a go. 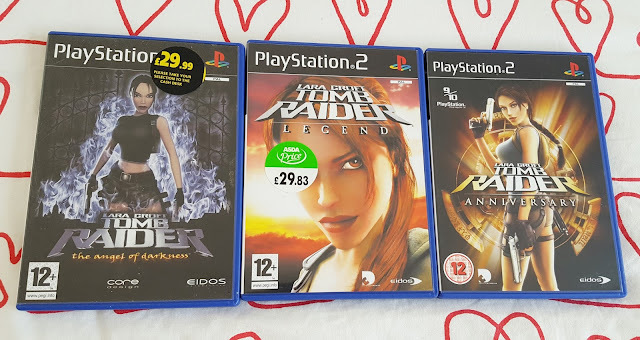 Tomb Raider 2 came exactly a year after Tomb Raider was released, Eidos didn't change the setting much for the second installment, in fact, they made it better and improved it which is rare for the most games, I've personally found a lot of sequels to be rubbish compared to the first game. They made the second installment a lot easier and people were able to get a little less annoyed with the puzzles this time around. The second Tomb Raider did so well it sold over 8 million units which are very impressive in my eyes, I would like to add that the first tomb raider was my favourite out of the original 3 though, probably because it was the main one I and my sisters played. Nowadays the Tomb Raider games show Lara as a 21 year old in her earlier years as an archeologist, the game has a lot more to do and the graphics (I said before) have come a long way. 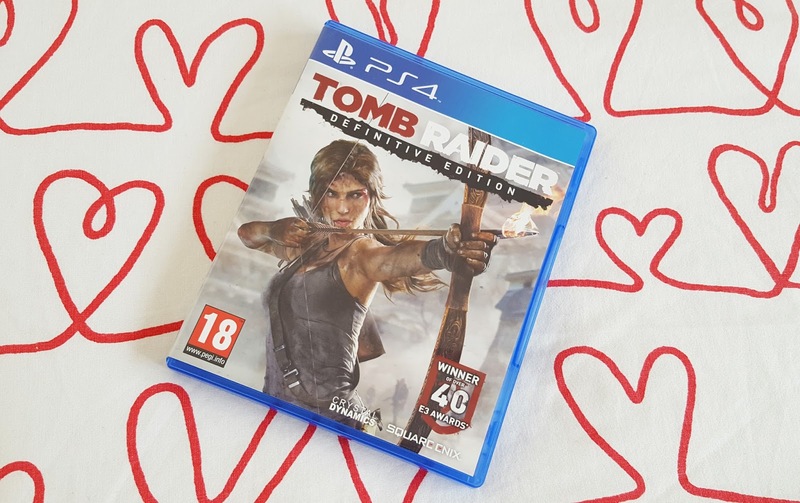 The newer game was developed by Crystal Dynamics and published by Square Enix who are known for publishing the Final Fantasy games which are a huge franchise! Out of all of Tomb Raider games which ones are your favourite? Yasss. I LOVE Tomb Raider. I think I've pretty much played them all apart from the Gameboy editions. I wish I still had all of my PS1 games and console so I could do a photo. ARGH. but I do have all the latest and PS2 games as well <3 I remember wanting to be Lara growing up.